In the medical industry, you embrace the most cutting edge sciences that aim to improve our health and wellness. It only makes sense to apply this same innovation toward the type of technology solutions you use to connect with patients and fellow medical professionals. Our services will help you to streamline workflow and improve collaboration across teams. Patients also want to play a greater role in their overall healthcare experience and our technology solutions can help you create an interactive environment where patients feel more involved in their care. Most importantly, our services will help you adhere to security and regulatory compliance by creating an open yet secure infrastructure to enhance integration and management of your data. In order to better serve the health and wellness of your patients, you must value the health and wellness of your own organization. We can help you harness the power of the latest technology solutions to function at the highest level of efficiency and security. Work For A Behavioral Health Facility? Learn How We Can Help Your Business! Answer a few simple questions to the right. 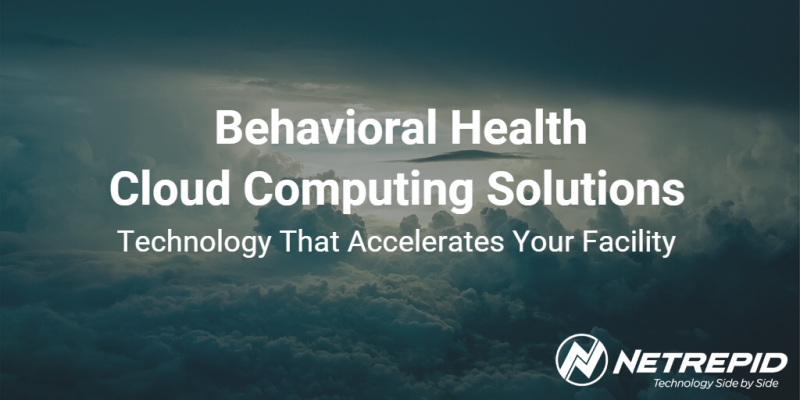 Once those are complete, we will be happy to send you some more information about how we help behavioral health facilities accelerate their business with technology hosted in the cloud.